The towers took around five years to construct in the beginning, but their construction time was shortened to about 1.5-2 years when they learned how to most effectively construct them. They are 2,500 feet tall, close to the world’s tallest buildings. Though they don’t break through the lowest layer of the atmosphere physically, their sphere of influence extends close to ten miles up, allowing them to control the weather. The also use anchor points in the shape of a hexagon around them in order to maintain the environment within a closed area. U.S. map divided by zones. A planned function of the towers was their ability to help counteract some of the negative effects to the ozone layer. They were to limit the chemicals that reach the ozone layer by absorbing them in clouds filled with agents that counteract the harmful emissions. Unfortunately, the idea of towers generating artificial clouds with chemicals in them was enough to scare people into shooting down the idea almost immediately. The project was officially scrapped, though the research is still filed away in a safe place with prototypes in the hopes that it can be utilized some day. The first tower was constructed in 2050 in Arizona, after years of research and development. 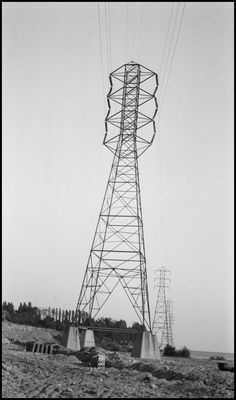 With a few changes and overall improvements, Project Olympus began implementing these towers across the U.S. and eventually around the world, with the help of the U.N. Though the towers’ main function was to create ideal environments for the growing of crops, they also began to be used to preserve different ecosystems from around the world. Not only were large fields given the sunlight and cycle of weather they needed, but other areas were transformed into entirely new environments such as jungles or savannahs, even tundras in some places. Animal and plant species that were going extinct were able to survive in these places.